Day of the Lamb: It’s Me! Today’s lesson began in Mark 14:12-25 as Jesus sends two disciples ahead to Jerusalem. Their task is to find a man carrying water and follow him to a house. 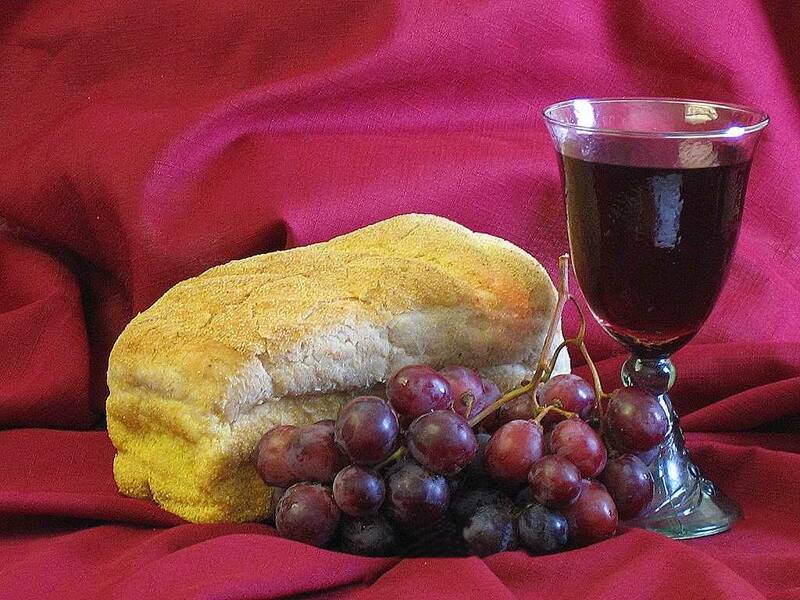 There, those disciples (identified elsewhere as Peter and John) are to prepare the Passover Seder that Jesus and his disciples will take part in that night. During this meal in the Upper Room, Jesus is surrounded by the 12 who have been the closest to him over the past three years. They’ve watched Jesus in his ministry, they’ve learned at the foot of the master teacher and they’ve had the chance to put what they’ve learned into practice. It hasn’t been an easy journey for the disciples and it never is when we’re asked to give up everything that we have and do and follow after Jesus. But sitting around this table, on this night, in the middle of the meal that celebrates the Israelites escape from Egypt, Jesus drops a bomb. It’s something that would stun and hurt. It’s something that would leave someone speechless — especially when it was someone you cared about. Judas. The one who is often held up as the example of ultimate betrayal. Peter. The “rock” who denies Jesus three times on the night of the arrest and trial. The other disciples. Largely, they run from the scene and go into hiding when Jesus needs them the most. Sitting that night at the first Communion was a group of 12 men who would all betray Jesus. Every last one of them, betrayers. And in that moment, Jesus says that they are no longer called servants. They are called friends. A roomful of betrayers. Yet, all are called friends of Jesus. Thank you God, for grace and mercy and the chance to be called a friend! I had one of the great experiences of my life last week. My wife and I took our daughter, Grace, on a visit to Disney. Grace really didn’t get what was happening when we said, “Disney” but when we termed it, “Mickey World,” the excitement level started rising! An Experience vs. a Place. Disney is not just a place to go and be there. Disney is an experience that is carefully designed and planned. Even the seemingly spontaneous street dances with characters at Disney are carefully planned to be part of the experience. You don’t just go to Disney, you are a part of what’s going on. Do too many churches concentrate on being a time, a place, a thing and not enough on being a place where we experience God? Isn’t experiencing God a part of worship? Attention to detail. Every part of Disney is carefully planned. You have Mickey Mouse milk at breakfast. The napkins carry the Disney motiff. Schedules for character appearances are carefully mapped around parades. Disney seems to leave nothing to chance when it comes to planning and to the level of detail that it looks into. Sometimes I wonder if, as a church, we are that careful in our own attention to detail. How many things do we simply let go because we don’t have time, or it’s someone else’s job? How carefully do we account for the small things? No one left behind. I watched the great detail with which rides, buses and everything else involved with Disney is so carefully designed to be inclusive. You can be in a wheelchair and still have access to just about everything Disney has to offer. Those needing assistance in being a part of the transportation system at Disney are helped first. Everyone gets a chance to participate. Are churches designed to be inclusive of all people? Do we go to great lengths to accomodate those who don’t fit the criteria of our particular congregations? How many people leave churches and don’t return because they simply aren’t welcomed into the fellowship? A badge of honor. 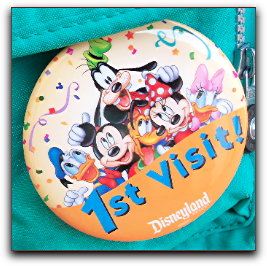 For my daughter, one of the highlights of the trip was her “first-time visitor” badge. She wore it proudly and wanted to make sure that, each day, she had it pinned on her shirt. Others would recognize the fact it was her first time. She received special perks. A performer on stilts during one of the street dances looked down and asked her how she was liking her first visit. It meant something to be a visitor there. I wonder if the church makes visitors feel that special. I wonder if it is a badge of honor to be a visitor in many churches or whether it’s something people really don’t want anyone else to know. I wonder how can we make it special to be a visitor, and possibly later a member, at churches.